Bag: BOYY. Dress: Tibi (also shop the shorter version here). Blazer: Topshop, last seen here. Shoes: BR, old similar here. Sunglasses: Nordstrom (under $100). Coat: Pixie Market. Tights: Emilio Cavallini. Belt: Halogen. 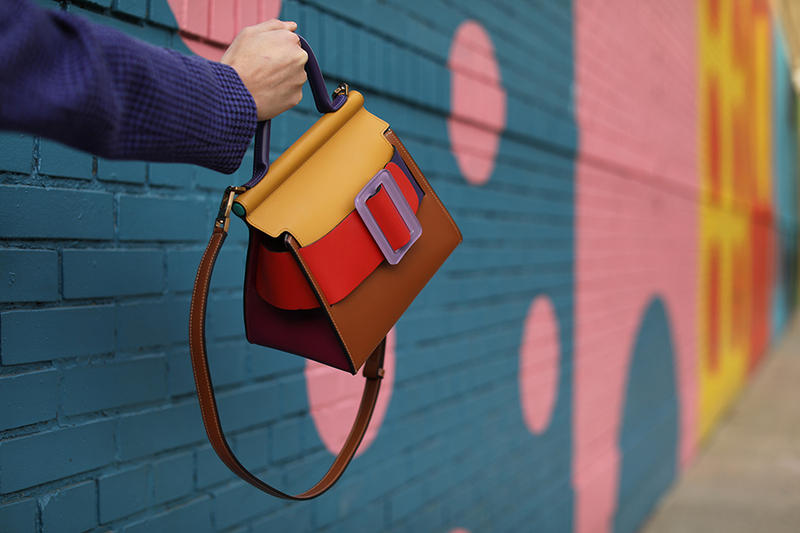 Today is all about color…and spring bags! I am highlighting a few of my favorite new bags of the season. Everything from straw, to leather, to raffia, to – of course – clear bags (a continued obsession of mine)! Hope you find a new friend below! These handbags are just too cute. Such a lovely look for Spring! Such an excellent riot of colours! These bags are so interesting! I love the bright colors and fun styles. The mixture of colors is so cool, Blair! My goodness! You look amazing! I love how you make all colors match. Obsessed with this color block look! 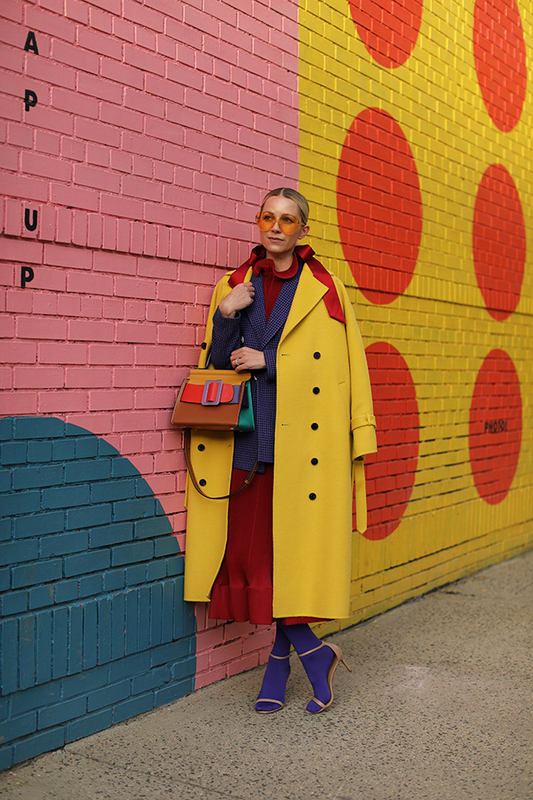 Loving this color blocking, lady! That bag of yours is seriously made for you! I love the color blocking!! You make mixing bright colors look so chic and effortless! I’ve been really into tibi lately, so no shock that I love the dress. I also love the purple and texture of the blazer, and that bag is so fun!